After seeing the animated movie I doubt the live action one would be as good. 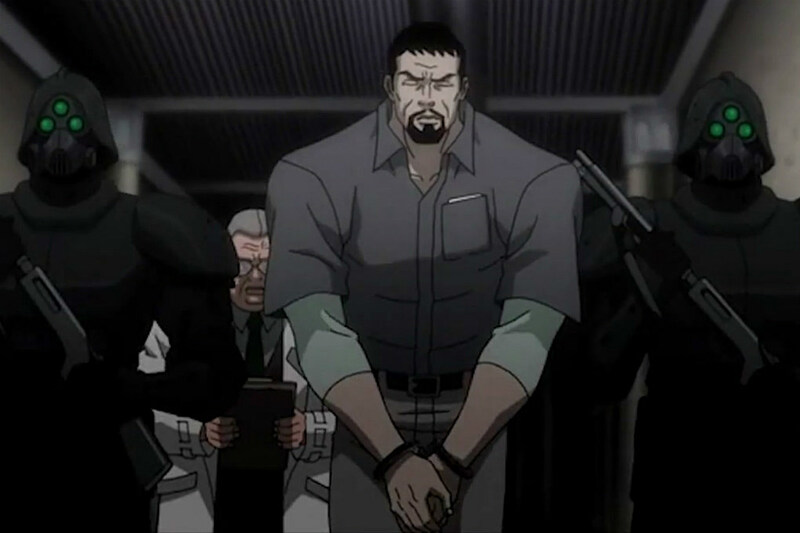 Assault on Arkham is about the Suicide Squad, a team assembled by Amanda Waller comprised of ex-super villains. Walker wants to assassinate the Riddler who is imprisoned in Arkham. Deadshot is captured and put in charge of the Squad. All the members are there for their specific skills and knowledge of the situation. Harley Quinn used to work in Arkham and is able to give an entire layout of the prison. 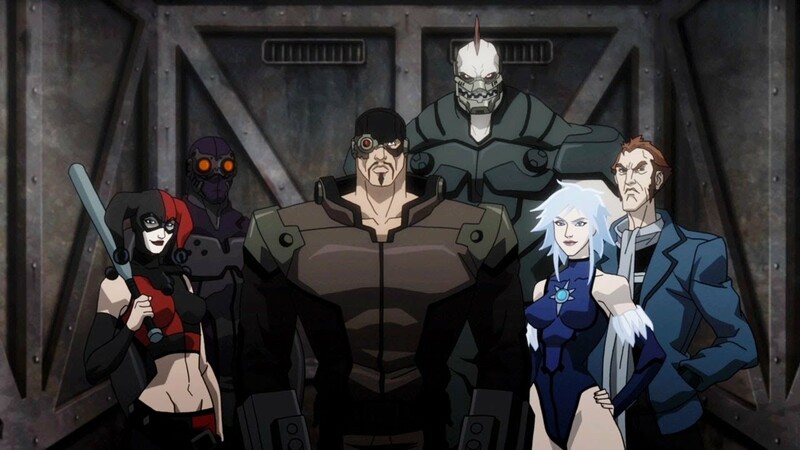 Captain Boomerang, Black Spider, Killer Frost and King Shark are brought on help in the escape. Each member is implanted with a bomb in their neck to insure that Walker is in charge and that no member deviates from the plan. KGBreast is on the team for a short time, but tests Walker and is the first to get their head blown off. The big question on the whole teams mind is, “What about Batman?”. Walker lets the Squad know that Batman is apparently on another case. The Joker hid a dirty bomb somewhere in Gotham and Batman has been tearing the city apart trying to find it. The Squads mission and Batman’s search both cross paths when the Squad encounters the Joker in Arkham. Quinn has finally left the Joker after his last beating and is at wits end when she encounters him. Deadshot is a solid leader and does the best he can with the band of rag tag degenerates. Assault on Arkham is an incredible movie that is well thought out. Better than any of the Christopher Nolan movies. The characters are all out for themselves secretly and all have great personalities. 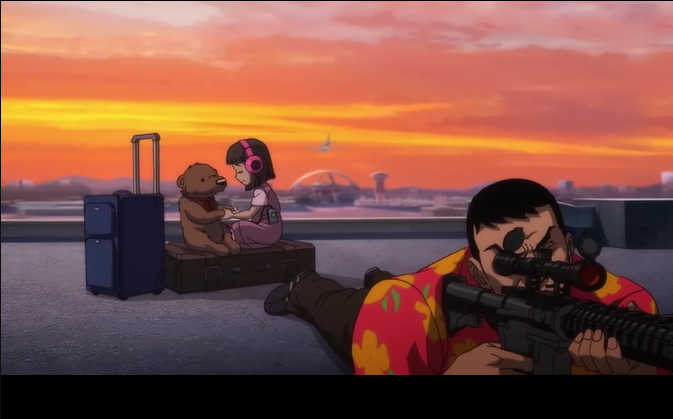 The action is intense and even though this is a cartoon movie, it is in no way intended for children. There aren’t many plot holes in this movie and very little room for change. The concept is solid and the only problem I had was it wasn’t long enough. I give it a perfect 5/5 and a must see for DC and Batman fans. This entry was posted in Movies And Shows and tagged 2015, animal, animals, Batman, Batman: Assault on Arkham, comeback, computer, DC, deadshot, life, movie, netflix, quinn, riddler, spider, spiderman, Suicide Squad, summer, Superman, women.